We are thus in a new era that has come much faster than global transportation experts Peter Newman and Jeffrey Kenworthy had predicted: the end of automobile dependence. In The End of Automobile Dependence, Newman and Kenworthy look at how we can accelerate a planning approach to designing urban environments that can function reliably and conveniently on alternative modes, with a refined and more civilized automobile playing a very much reduced and manageable role in urban transportation. The authors examine the rise and fall of automobile dependence using updated data on 44 global cities to better understand how to facilitate and guide cities to the most productive and sustainable outcomes. This is the final volume in a trilogy by Newman and Kenworthy on automobile dependence (Cities and Automobile Dependence in 1989 and Sustainability and Cities: Overcoming Automobile Dependence in 1999). Like all good trilogies this one shows the rise of an empire, in this case that of the automobile, the peak of its power, and the decline of that empire. "Newman and Kenworthy have a track record second to none in homing in on the key issues in sustainable transport and pointing to the irrefutable conceptual and intellectual logic of 'doing the right thing.' They have now done it again and in a crisp, very clear analysis they demonstrate how the car is already loosening its grip on the mind-set of politicians and planners and we are now able to see the shape of the next phase." "Logical, accessible, and at times devastatingly persuasive…[it] is a tightly packed yet readable marvel of comprehensiveness, clear interpretation of evidence, and accessible communication….The End of Automobile Dependence is a treatise rather than a primer, unlikely to be read by most of the people who need most to read it: a group roughly describable as 'everyone in a developed or developing country who'll be making transportation decisions over the coming century.' For urban planners, transportation specialists, public officials, architects operating on master-plan scales, and students of the built environment at any level of expertise, however, it's invaluable reading." "Chapters disentangle the economic, political, and cultural roots of [the end of automobile dependence]; analyze how transportation planning can change… and take a long view of 'what automobile-dependent cities might be like in a future free of carbon emissions.'" "The key appeal of Newman and Kenworthy's work is that they have a positive message for the future of cities—that through innovation in funding and technology, and careful integration of land use development and transport, a multi-modal mobility system can be created that supports the social, economic and environmental sustainability of cities." "The End of Automobile Dependence is an optimistic book...What the authors present is a world in which cars are not necessary for every trip, but clearly still have important uses. Ultimately, we are moving in the right direction, as cities that wish to thrive cannot ignore the physical, ecological and economic limits to automobile addiction." "There is no comparable book." "In these pages, Peter Newman and Jeffrey Kenworthy provide a definitive post-mortem for the era of car-dependence and a vision for safer, more sustainable and welcoming streets. From reinvigorated transit networks to smarter suburban development strategies to the downtown renaissance playing out in cities worldwide, Newman and Kenworthy have sketched a roadmap to an urban future powered not by internal combustion, but human ingenuity." "A profoundly important and optimistic book on planning our cities. Newman and Kenworthy complete their trilogy on automobile dependence by demonstrating that global trends are turning towards a more sustainable future for many metropolitan regions." "The closing volume of Newman and Kenworthy's epic transportation trilogy outlines multiple paths to a post-automobile addiction world. It demonstrates how reducing automobile dependence can help us make rapid progress towards more sustainable, economically secure and healthy cities and accelerate decarbonisation to reduce climate change risk." "Newman and Kenworthy offer a framework for a true democracy of transportation choice. This realistically optimistic book augurs the emergence of cities that will truly optimize their transportation systems—economically, for resource efficiency, and for quality of life." Jeb Brugmann, Founder, ICLEI-Local Governments for Sustainability, author "Welcome to the Urban Revolution"
"The books of Newman and Kenworthy have opened doors for new thinking, new concepts and a new comprehensive theory. This book is a good basis for a paradigm shift and new orientation towards walking and transit urban fabrics." "This is a book I would like to walk into a city council meeting and thump on the table before the council and say 'Read it.'" 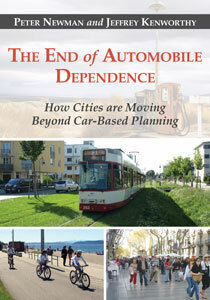 "This is another fabulous offering from Peter Newman and Jeffrey Kenworthy, describing the move away from auto dependence in many contemporary cities. ... It is advised as required reading for all transport planning students and practitioners." Chapter 5: Transportation Planning: Hindrance or Help? Chapter 7: The End of Automobile Dependence: A Troubling Prognosis? On February 8 at 5:00 pm PST, join Island Press and their Bay Area partners for an online discussion with global transportation expert Peter Newman. Peter will discuss how to accelerate a planning approach to designing urban environments that can function reliably and conveniently on alternative modes, with automobiles playing a reduced and manageable role in urban transportation. The discussion will focus on Newman’s new book, The End of Automobile Dependence, and how its messages can be applied to real world transportation problems. The discussion will be moderated by TransForm’s Chris Lepe, Senior Community Planner, Silicon Valley. Thanks to the webinar co-sponsors: TransForm; SPUR; Transportation and Land Development Committee, Transportation Research Board, The National Academies of Sciences, Engineering, and Medicine; and APA Nor Cal Sustainability Committee. Peter Newman is the Professor of Sustainability at Curtin University. He has written 16 books and over 300 papers. His books include The End of Automobile Dependence and Sustainability and Cities: Overcoming Automobile Dependence which was launched in the White House in 1999. Peter was a Fulbright Senior Scholar at the University of Virginia and was on the IPCC for their 5th Assessment Report. In 2014 he was awarded an Order of Australia for his contributions to urban design and sustainable transport. He is a Fellow of the Academy of Technological and Engineering Sciences Australia. Peter has worked in local government as an elected councilor, in state government as an advisor to three Premiers and in the Australian Government on the Board of Infrastructure Australia. In 2016, Australia Prime Minister Malcolm Turnbull noted that Professor Newman was his “tutor on transportation policy.” More details here. With walking, biking, and transit use on the rise in cities, and car ownership on the decline, what is the future of car dependence? Join us as we host Peter Newman to speak about his new book The End of Automobile Dependence and find out what he thinks about the future of cars and urban rail. The event is free! The Department of Geography invites you to the Dorn C. McGrath Lecture in Urban Planning and Geography, with guest Peter Newman. Cities are reducing in car use, reversing their sprawl and becoming more aware of their need to reduce automobile dependence to enable their economies to work better. In The End of Automobile Dependence Peter Newman will trace this historic change over the past decades and in different parts of the world before showing how best practice examples can indicate how we need to proceed. In honor of World Car Free Day 2015 (September 22) we wanted to know: Which city could best benefit from participating in World Car Free Day? Los Angeles: The City of Los Angeles should participate in World Car Free Day. Despite being considered a car-first place, much progress has been made in developing transit and active transportation facilities. The City's recently adopted Mobility Element charts a new path to increase transit and active transportation facilities. There is a political and resident support for a car free day, as successful Ciclavia bicycle events have proven. Los Angeles has a tradition of experimentation and adaptation as demonstrated in the way the Angelenos traveled differently during the 1984 Olympics. It's time to do that again! Shanghai: I think Shanghai would benefit most from a Car Free Day. Shanghai is a very dense city and when it began modernising and bringing cars into its ancient walking and cycling streets, they became rapidly very congested. In the past decade Shanghai has built the largest Metro in the world which now carries 9 million people a day. They have begun limiting car numbers with a ballot system and charging heavily for car registration. But the streets are still dangerous as the new Chinese car culture is aggressively asserting its right to the streets. A car-free day would show the public that most of Shanghai is a walking city in its history and urban fabric (as outlined in our book) and needs to be respected. They would love to enjoy the freedom of safe streets. Long term it may create a more respectful culture and regulations for pedestrian priority on their streets. New York City: New York City could benefit significantly to taking back the streets on World Car Free Day, not only to show New Yorkers the potential of a car-free, pedestrian-led city, but for Mayor DeBlasio to make a statement about the value of public space and his commitment to Vision Zero. DeBlasio has successfully lowered the speed limit and limited automobile traffic in Central and Prospect Park, but has yet to invest in the sweeping enforcement, design, and policy changes needed to protect pedestrians. To date, the number of pedestrian deaths in 2015 is the same as this number last year—60, with the number of children killed also the same at six. Traffic injuries disproportionately affect the most vulnerable—the poor and elderly. Many of the poorest neighborhoods in the city have higher crash densities than the wealthiest neighborhoods. And although senior citizens make up only 12 percent of the NYC population, they account for nearly 40 percent of pedestrian fatalities. Many questioned DeBlasio’s commitment to Vision Zero after his comments about ripping up the Times Square pedestrian plaza—proven to have made the area safer for pedestrians. But larger questions loom about his commitment to his campaign platform of reducing inequities. Street safety presents an opportunity for DeBlasio to address the need to make the city safe for ALL New Yorkers. Summer Streets, visited by over 300,000, offers three glorious car-free days in August, but covers just seven miles of Manhattan. On Tuesday, New York has an opportunity to go car free on its most dangerous boulevards and highlight the needs of the most vulnerable New Yorkers in having safe streets. Glib, and not – you’d think – about to fly any time soon. But the reason for World Car Free Day isn’t to annoy those wedded to their cars it’s a disrupter, a chance to take stock and see if we can get by, for just 24 hours, without infernal combustion engines. Naturally, we can but most conurbations which take part in the day won’t go the whole hog – it’s generally just a street or two that’s closed off. This is still good but it’s not quite disruptive enough. Bogotá in Columbia is the city which truly takes the day to its heart: it has been staging a Car Free Day since 2000 and this wasn’t via a dictat from on high, the annual event was okayed by a public referendum. Since staging the first event Bogotá has invested in more civically sensible ways of getting around the city, installing bike lanes, protecting pedestrians and investing in transit. Much of this was the work of then mayor Enrique Peñalosa. To truly make a success of Car Free Day cities have to have politicians that want the idea to work, who want their cities to be designed for people, not cars. On Monday, February 8, Island Press hosted a webinar for its San Francisco Bay Area partners featuring international sustainability expert Peter Newman and TransForm’s Chris Lepe. Newman discussed his latest Island Press book, The End of Automobile Dependence, the final volume in a trilogy with co-author Jeffrey Kenworthy on automobile dependence (Cities and Automobile Dependence in 1989 and Sustainability and Cities: Overcoming Automobile Dependence in 1999), and how its key findings can be applied to real-world transit and transportation issues. Many thanks to the following partners and co-sponsors for making the webinar possible: TransForm; SPUR; APA Northern California Sustainability Committee; and Transportation and Land Development Committee, Transportation Research Board, The National Academies of Sciences, Engineering, and Medicine. How can cities and transit systems enhance the efficiency of their bus services? Jeffrey Kenworthy, co-author of The End of Automobile Dependence: How Cities are Moving Beyond Car-Based Planning and Matthew Bradley, lead author of "Congestion Offsets: Transforming Cities by Letting Buses Compete" share some ideas on bus-only lanes and congestion controls below. Bus-only lanes are an ostensibly easy way to improve bus services throughout a region. It is not technically difficult to simply declare whole lanes along chosen roads as bus lanes to ensure buses are not stuck in congestion (and even to lay down concrete barriers to ensure the lanes are respected). The difficult part in dedicating bus lanes is political, but the reality is cars already take much more than their fair share of road space and buses and bus patrons are the ones who suffer most from this inequitable situation through significantly increased journey times, despite taking up a fraction of the road space per-person that is used by single-occupancy or even multiple occupancy cars. Dedicated bus lanes can help relieve some of this inequality. City-wide congestion controls such as congestion offsets, which penalize private cars for overusing public roads and are explained in more detail below, can also enhance the competitiveness of bus services. For years now cities worldwide have been talking about policies such as road pricing (electronic and otherwise), carbon taxes, and so on to reduce car use, especially in peak periods. These policies have proven about as popular with politicians and the general population as a cold shower in winter or a frontal lobotomy. What we have instead is a handful of cities that charge a fee for driving a car into the central city during peak times—London being the most well-known—which does not address the broader congestion problem that afflicts most cities. As far as controlling congestion goes, there seems to be a lot of scope for rethinking the whole way we conceive the congestion problem and how to address it. In "Congestion Offsets: Transforming Cities by Letting Buses Compete," we suggest one possibility for such rethinking. The paper needs to be read to understand the full rationale because the technical justification of the approach and how to implement it is too much to explain in a short blog. There is also a longer summary of the thinking in The End of Automobile Dependence (pp 196-199). Here is the simple version. Everyone accepts parking regulations. Although we don’t like it, we cop the fine for illegal parking (e.g. parking our car in a designated clearway during the peak because it obstructs traffic flow). We don’t go after politicians for that. And of course we are not guaranteed to get a fine every time we contravene a parking regulation. Sometimes we get away with it. But when we don’t, we grudgingly accept it as something we did wrong and at least sub-consciously acknowledge that there are rules about living in cities that we have to obey, like it or not, in order to keep a system functioning in an orderly manner. And when we view the hole in our wallet from the fine, we really think twice about ever trying to get away with it again. What we suggest in congestion offsets is thinking more about congestion as a regulatory problem for which we construct a system of fines, the same way we do with parking and other roadway transgressions. This approach is in contrast to the road pricing approach, which tackles congestion by treating road space as a commodity to be sold at a price. The problem with road pricing is that roadways are a commons, owned by the public, and people don't like to pay for something they already own. Who would like to pay rent on a home they already own? So instead of asking people to pay rent, in the form of a road price, we are suggesting that roads should be considered a part of “the commons,” the usage of which is regulated in just about every other sphere of life. We protect the commons, because in all its varied forms, it is something that has to function properly for everyone. We call the random penalties charged to motorists who contravene regulations about controlling congestion in peak periods "congestion offsets." Money raised from these fines would be used to provide bus passengers, who are only using a tiny share of available road space compared to car occupants, with sharply reduced bus fares and better bus services. The under-use of roadways by bus passengers would offset overuse by car occupants, with bus passengers being rewarded for their roadway under-use and car occupants being penalised for their roadway over-use. In this way, congestion could be cleared. We could also go as far as suggesting that the present system of road usage and its attendant congestion in cities is a kind of universal socialism. We queue to obtain access to a scarce commodity, peak period road space, instead of recognising that we are never going to be able to provide enough to meet demand, so we have to control, in some way, the usage of the road space we do have. That is, unless we want the world full of Atlantas and Houstons, which are even now still congested, so the alternative of expanding road space to meet demand is an exercise in futility. The bullet that most cities seem highly reluctant to bite is the issue of how to effectively control congestion, and yet it is the most obvious elephant in the bedroom in the transportation planning profession. Some form of city-wide congestion control is needed in just about every city in the world. So far, virtually no city has had the courage to introduce genuine city-wide controls on car use in peak periods (Singapore is the only city to have comprehensively tried to keep its roads as free as possible from excessive car use through a variety of mechanisms). By discouraging overuse of cars in peak periods, congestion offsets would relieve traffic in our cities and allow buses to operate more efficiently and effectively. Jeffrey Kenworthy is co-author of The End of Automobile Dependence and a professor at Curtin University where he teaches and supervises postgraduate students in urban sustainability fields. Dr. Matthew Bradley holds a Ph.D. from Curtin University in Perth, Wesetern Australia. 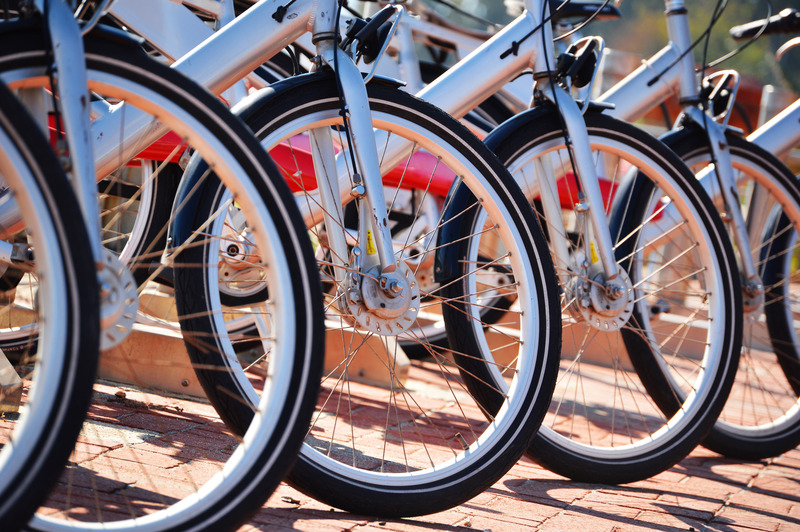 The agenda for cities of the future is to have more sustainable transport options available so that a city can indeed reduce its traffic whilst reducing its greenhouse gases 50 percent by 2050 (the global agenda set through the International Panel on Climate Change). For many cities the reduction of car use is not yet on the agenda apart from seeing it as an obviously good thing to do. Unfortunately for most cities traffic growth has been continuous and appears to be unstoppable. To reduce a city’s ecological footprint and enhance the liveability of the city it will be necessary to manage the growth of cars and trucks and their associated fossil fuel consumption. The variations in private transport fuel use across 84 cities shows that there is a very large difference in how cities use cars and petroleum fuels. Through a number of studies it has been shown that these variations have little to do with climate, culture or politics, and even income is very poorly correlated, but they have a lot to do with the physical planning decisions that are made in those cities – see especially our ‘Sustainability and Cities’ Newman and Kenworthy, 1999. There is debate about the relative importance of urban planning parameters though within the profession there is increasing awareness that sustainable transport will only happen if there is an emphasis on urban form and density; infrastructure priorities especially the relative commitment to public transport compared to cars; and, street planning especially the provision for pedestrians and cyclists as part of sustainable mobility management. 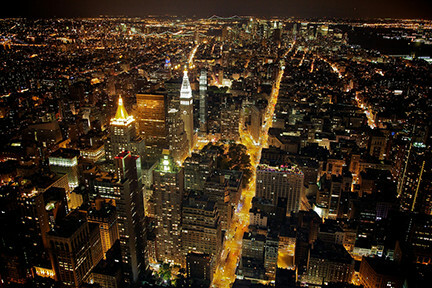 The view of New York City's skyline from the Empire State building. credit: Aurelien Guichard via Flickr. The density of a city determines how close to urban activities most people can be. Very high density city centres mean that most destinations can be reached with a short walk or they can have highly effective public transport opportunities due to the concentration of people near stations. If densities are reduced but are focussed along corridors it is still feasible to have a good transit system. If however low densities are the dominant feature of a city then most activity needs to be based around cars as they alone can enable people to reach their destinations in a reasonable time. Public transport finds it hard to be competitive as there are just not enough people to justify reasonable services. Most low density cities are now trying to increase their densities to reduce their car dependence. Density is a major tool available to planners in cities. It is best used where a city has good transit or wants to build transit as the resulting Transit Oriented Developments (TODs) are found to reduce car use per capita among its residents by half and to save households around 20% of their household income as they have on average one less car (often none). TODs are thus an affordable housing strategy as well. In the U.S., according to a 2007 study by Reid Ewing, “shifting 60 percent of new growth to compact patterns would save 85 million metric tons of CO2 annually by 2030.” TODs reduce ecological footprint in cities and undermine the kind of car-based sprawl that eats into the green agenda of cities. Thus this strategy of TODs can enable a city to put in place a clear urban growth boundary and to build a green wall for agriculture, recreation, biodiversity and the other natural systems of the green agenda. Cairo’s green belt is one attempt to do this. If cities are dense, as in many developing cities, but they do not have adequate public transport and they allow too much traffic to develop in their streets, then they can easily develop dysfunctional transport systems. However their density will always enable them to provide viable public transport solutions if they invest in them, whereas low density cities are always struggling to provide any other options. High density means easier non-car based access but it can also mean much greater congestion whenever vehicles are used. If the vehicles in these confined spaces are poorly maintained diesel engines then very serious air pollution can result so cities need to be very serious about managing the source of such emissions. The relative speed of transit to traffic measures how effective public transport is in competing with the car. The best European and Asian cities for transit have the highest ratio of transit to traffic speeds and have achieved this invariably with fast rail systems. Rail systems are faster in every city in the sample by 10-20 kph over bus systems that rarely average over 20 to 25 kph. Busways can be quicker than traffic in car saturated cities but in lower density car dependent cities it is important to use the extra speed of rail to establish an advantage over cars in traffic. This is one of the key reasons why railways are being built in over 100 US cities and in many other cities modern rail is now seen as the solution for reversing the trend to the private car. The trend to electric urban rail is now called a global megatrend. Rail is also important as it has a density-inducing effect around stations which can help to provide the focussed centres so critical to overcoming car dependence and they are electric which reduces oil vulnerability. Many cities in the world are unable to make transit politics work effectively. While major US cities such as New York and Chicago are dense and walkable, and their mayors have been lauded for their green plans and for signing onto the Mayor’s Climate Change Initiative, the mass transit systems for these cities continue to experience budget cuts. The city of Seattle, whose mayor is credited with initiating the US Mayor’s Climate Change Initiative, has struggled to implement any type of rail system. And while the State of California is a global leader on some state initiatives it has not yet developed a plan for how its heavy oil-using cities will wean themselves off their cars. Yet across the world cities are building modern electric rail systems at vastly increasing rates as they solve the simultaneous problems of fuel security, decarbonising the economy for climate change, reducing traffic congestion sustainably, and creating productive city centres. The trend to fast electric rail in cities is now being called a Mega Trend. Chinese cities have moved from their road building phase to building fast modern rail across the nation. China is committed to building 120,000 km of new rail by 2020. Investment will rise from 155 billion Yuan (US$22b) per year in 2006 to 1000 billion per year by 2009 (US$143b), with around 6 million jobs involved; the projects are part of their response to the economic downturn. Beijing now has the world’s biggest Metro. In Delhi the city has built a modern electric metro rail system which has developed considerable pride in their community and belief in their future. The 250km rail system is being built in various stages and will enable 60% of the city to be within 15 minutes walking distance of a station. In Perth, Australia a 172 km modern electric rail system has been built over the past 20 years with stunning success in terms of patronage and the development of TODs; the newest section runs 80 kms to the south and has attracted 50,000 passengers a day where the bus system carried just 14,000 a day – the difference is that the train has a top speed of 130 kph and averages 90 kph so the trip takes just 48 minutes instead of over an hour by car. London, especially with its congestion tax which is recycled into the transit system, and Paris have both shown European leadership in managing the car. While greening buildings, looking to renewable fuel sources, and creating more walkable communities are critical pieces of the sustainable city, investing in viable, accessible transit systems for cities is the most important component for them to become resilient to waning oil sources and in minimizing the impact of urban areas on climate change. Transit not just saves oil it helps restructure a city so that it can begin the exponential reduction in oil and car use so necessary for the future. The opportunities for making major changes in a city if quality transit is a priority can be imagined but their extent is often not seen to be more than a mere slowing of traffic growth. We suggest it is possible to imagine an exponential decline in car use in cities that could lead to 50% less passenger kms driven in cars. The key mechanism is a quantitative leap in the quality of public transport whilst fuel prices continue to climb, accompanied by an associated change in land use patterns. This is due to a phenomenon called Transit Leverage whereby one pass km of transit use replaces between 3 and 7 pass kms in a car due to more direct travel (especially in trains), trip chaining (doing various other things like shopping or service visits associated with a commute), giving up one car in a household (a common occurrence that reduces many solo trips) and eventually changes in where people live as they prefer to live or work nearer transit. If cities build freeways then car dependence quickly follows. This is because the extra speed of freeways means that the city can quickly spread outwards into lower density land uses as the freeway rapidly becomes the preferred option. 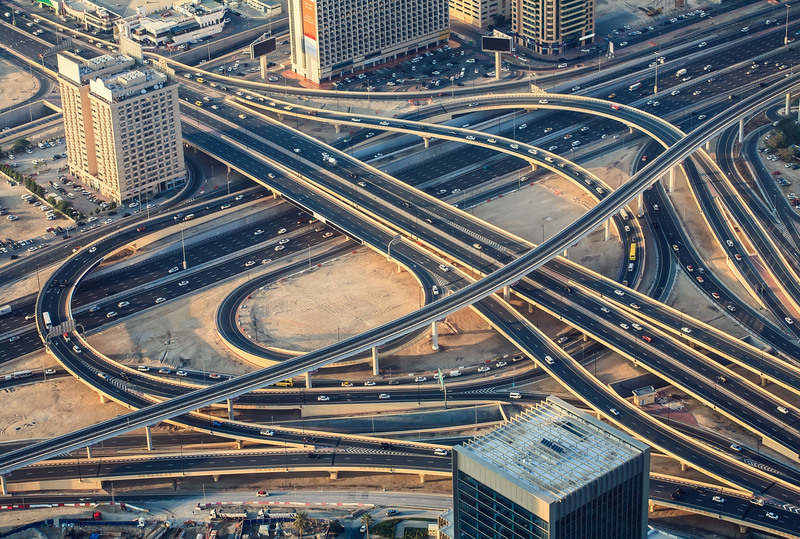 If on the other hand a city does not build freeways but prefers to emphasise transit it can enable its streets to become an important part of the sustainable transport system. Streets can be designed to favour pedestrians and cyclists and wherever this is done, cities invariably become surprised at how much more attractive and business-friendly it becomes – see the many projects and publications from Jan Gehl. Sustainable mobility management is about “streets not roads”, whereby the streets are used for a multiplicity of purposes, not just maximising vehicle flow. The emphasis is on achieving efficiency by maximising people movement, not car movement and on achieving a high level of amenity and safety for all street users. This policy also picks up on the concept of integration of transport facilities as public space. One of the ways that US and European cities are approaching this is through what are called ‘Complete Streets’ or in the UK ‘Naked Streets’. This new movement aims to create streets where mobility is managed to favour public transport, walking and cycling in streets as well as traffic which is reduced in capacity somewhat, mainly through reduced speed. The policy often includes removing all large signs for drivers which means they automatically slow down; in Kensington High Road in London the traffic accident rate has halved. Building freeways does not help either the brown agenda or the green agenda. It will not help a city save fuel as each lane rapidly fills leading to similar levels of congestion that were found before the road was built. Indeed studies have shown that there is little benefit for cities when they build freeways in terms of congestion and as that is the main reason for building them it does seem a waste. Data from Texas Transportation Institute show there is no overall correlation between delay per driver and the number of lanes of major roads built per head of population for the 20 biggest cities in the USA. Thus for urban planners the choices for a more sustainable city are quite stark though politically they are much harder as the allure of building more road capacity remains very high. Many cities that have confronted the provision of a freeway have been global leaders in this move towards more sustainable transportation. In Copenhagen and Zurich, in Portland, Vancouver and Toronto, all had to face the cathartic experience of a controversial freeway. After a political confrontation the freeway options were dropped. They decided instead to provide other greener options and hence the building of light rail lines, cycleways, traffic calming and associated urban villages began to occur. All these cities had citizen groups that pushed visions for a different, less car-oriented city and a political process was worked through to achieve their innovations. Similar movements are active in Australia. Freeways have blighted the centres of many cities and today there are cities that are trying to remove them. San Francisco removed the Embarcadero Freeway from its blighted waterfront district in the 1990’s after the Loma Prieta earthquake. It took three ballots before consensus was reached but the freeway has been rebuilt as a friendlier tree-lined boulevard involving pedestrian and cycle spaces. As in all cases where traffic capacity is reduced the city has not found it difficult to ensure adequate transport as most of the traffic just disappears. Regeneration of the land uses in the area has followed this change of transportation philosophy. The project has been very symbolic for the city as the river was a spiritual source of life for the city. Now other car saturated Asian cities are planning to replace their central city freeways (http://www.metro.seoul.kr/kor2000/chungaehome/en/seoul/2sub.htm/). What these projects have shown is that we should as David Burwell from People for Public Spaces says ‘think of transportation as public space’. Freeways thus, from this perspective, become very unfriendly solutions as they are not good public spaces. However boulevards with space for cars, cyclists, pedestrians, a busway or LRT, all packaged in good design and with associated land uses that creates attractions for everyone – these are the gathering spaces that make green cities good cities. In the UK the Demos Institute has shown how public transport helps create good public spaces that help define a city. The change of awareness amongst traffic engineers of this new paradigm for transportation planning is gathering momentum. Andy Wiley-Schwartz says that ‘Road engineers are realising that they are in the community development business and not just in the facilities development business’. He calls this the ‘slow road ‘movement. In essence it means that urban planners are asserting their role over traffic engineers or at least making an integrated approach rather than one that reduces city function down to vehicle movement. With this changed approach to city planning the small scale systems of pedestrian movement and cycling become much more important. Pedestrian strategies enable each centre in a city to be given priority to the most fundamental of human interactions, the walking-based face-to-face contact, that gives human life to a city and in the process reduces ecological footprint. Cycle strategies can go across the city with greenways that improve the green agenda as well as lowering energy use. Enough demonstrations now exist to show that pedestrian strategies and bicycle strategies work dramatically to improve city economies and to help create a Resilient City. The work of Jan Gehl in Copenhagen followed by pedestrian strategies in all Australian cities, London, New York and San Francisco, the work of Enrique Penelosa in Bogota, the dramatic changes in Paris with the Velib bicycle scheme and the growing awareness that it works in developing cities as well, are all testament to this new approach to cities.